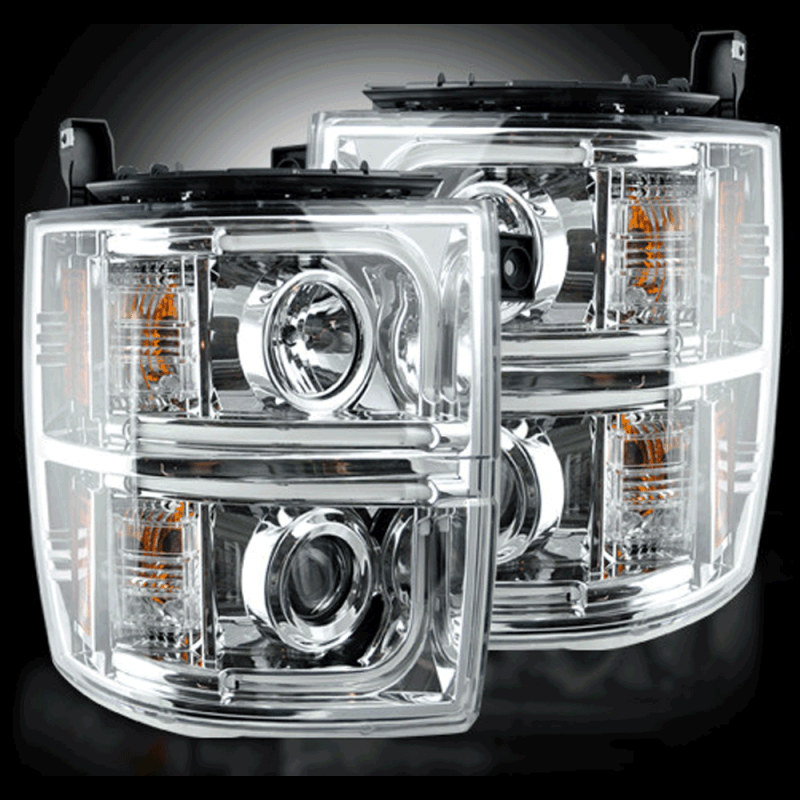 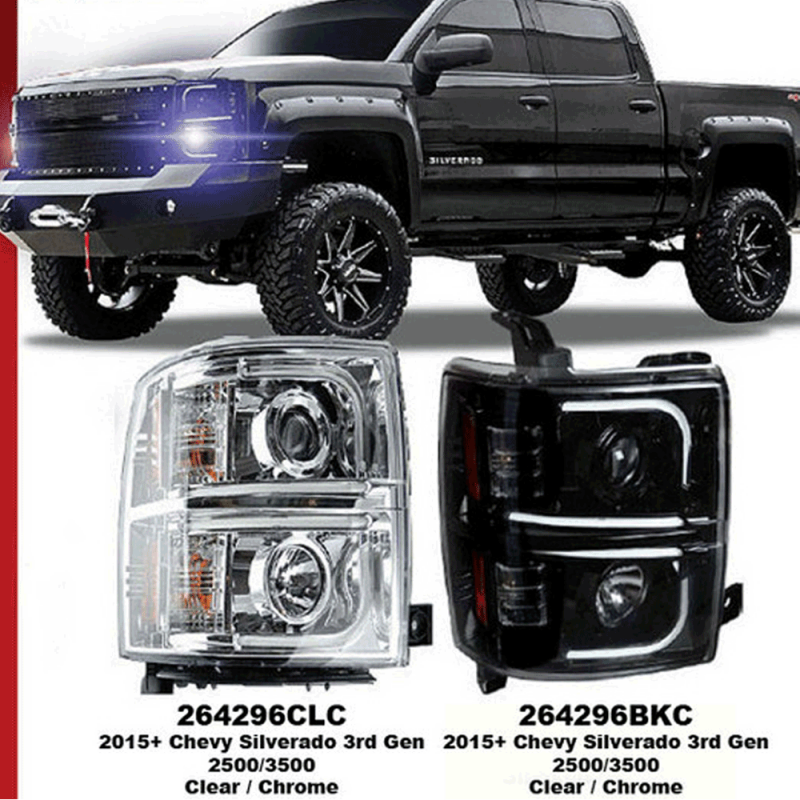 RECON'S clear chrome projector headlights for 2015-2017 Chevy Silverado 2500/3500 HD (3rd Generation) models features ultra high power smooth OLED halo's and DRL. 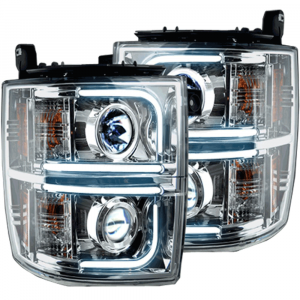 Designed to light up your path better, the Recon projector headlights not only offer a much more intense and focused light beam, but also a razor-sharp design. 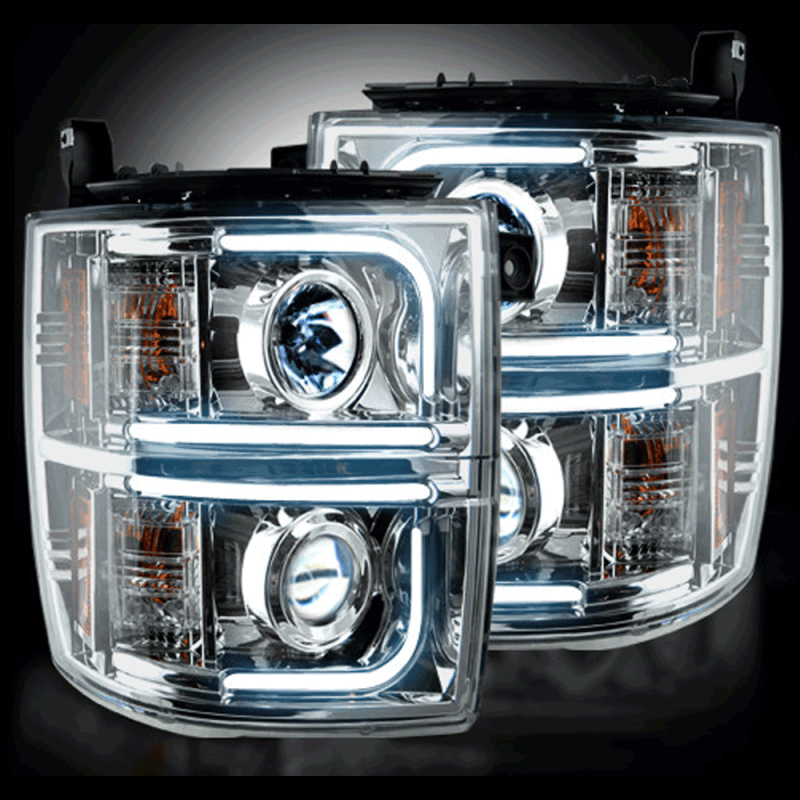 Crafted for easy installation and perfect fit, the Recon headlights will give your vehicle a high tech yet classy look and make it absolutely unique. 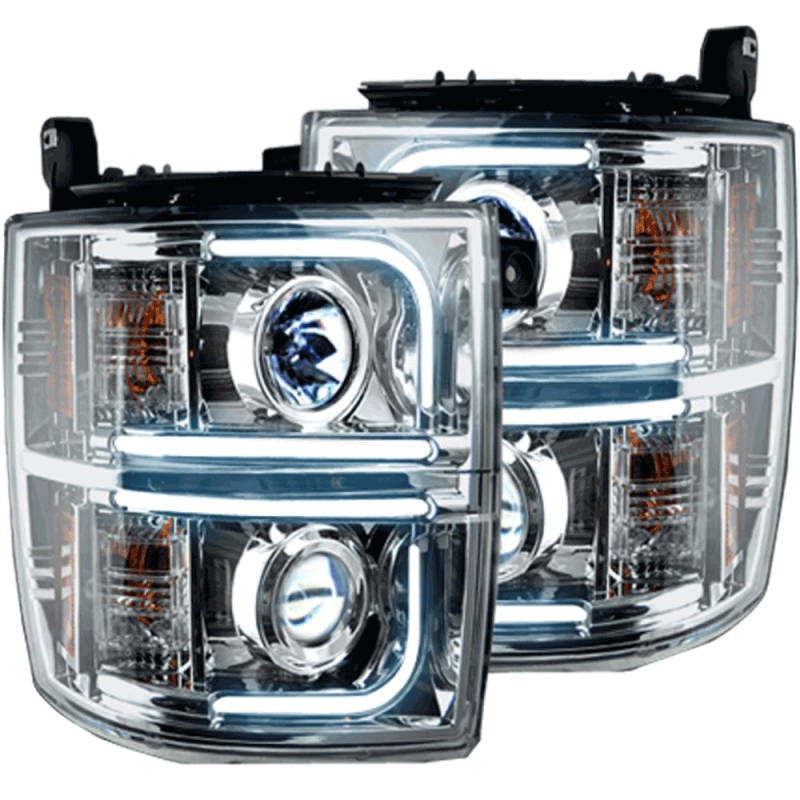 To cut a long story short, if you need replacement headlights and want to get rid of that dull factory look, then Recon Halo Projector Headlights with LEDs are your best bet.